For those of you looking for a bundle of binge-worthy goodness, look no further. I’m proud to be the curator for a new collection of narratives that I can’t believe I get to even be a part of. Authors like Nalo Hopkinson, Steven Barnes, and T. Thorn Coyle are here to help you soar through a diversity of stories you may not have discovered before. But only for a limited time! The titles in the Black Narratives bundle will be available for just three short weeks, and feature Nebula, Hugo, and Crawford award-winning authors, including Nnedi Okorafor—author of HBO’s ‘Who Fears Death‘ series. 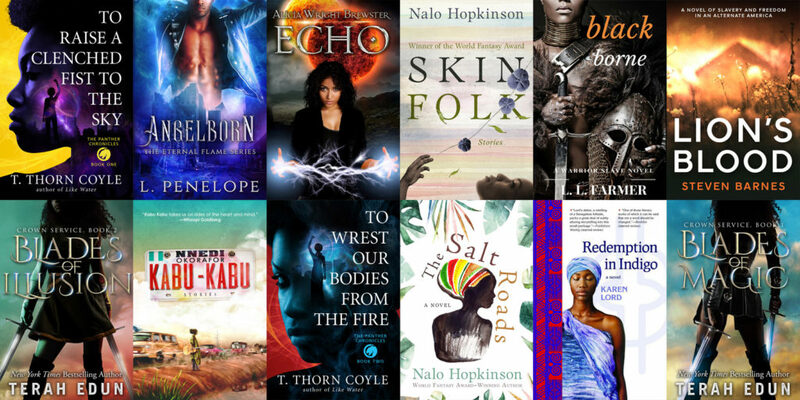 StoryBundle is proud to present the Black Narratives bundle, a twelve-book speculative fiction bundle that features an unforgettable and unique collection of authors who bring alive lush fantasies and science fiction stories set in assorted time periods and with thematic backgrounds that draw from American, West African, Caribbean, and black cultural heritages around the globe. That’s right. 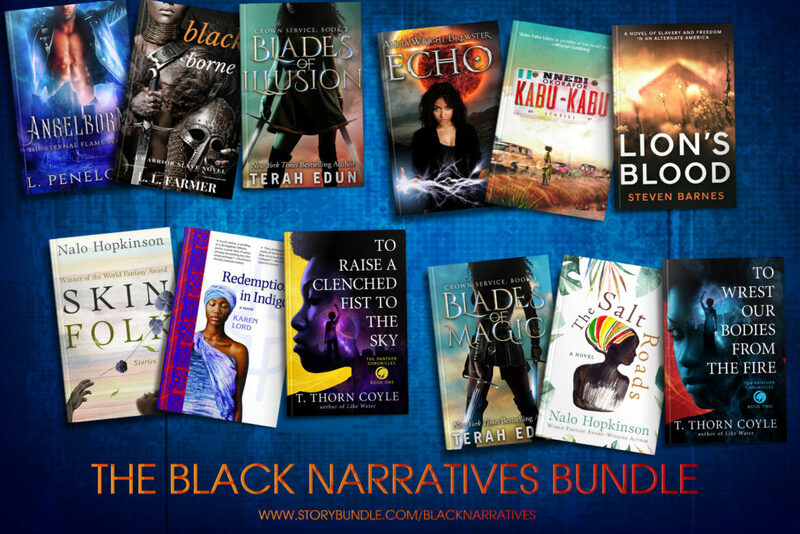 You can go to Storybundle.com/blacknarratives and set any amount for all 12 of these fabulous narratives. In addition, EVERY purchase of this bonus will receive an entry into a showing of Black Panther on Saturday, March 3rd (time and location of your choice). 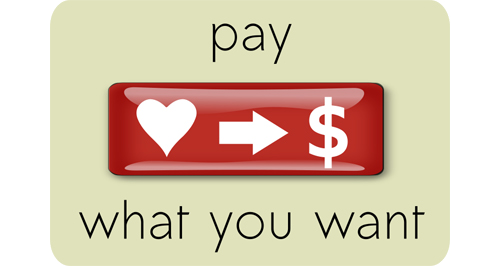 So go ahead, choose your price, grab a bundle, AND enter to win a Black Panther showing ($35 maximum) while you’re at it. Remember you only have three weeks to grab this bundle and then it’s gone forever! 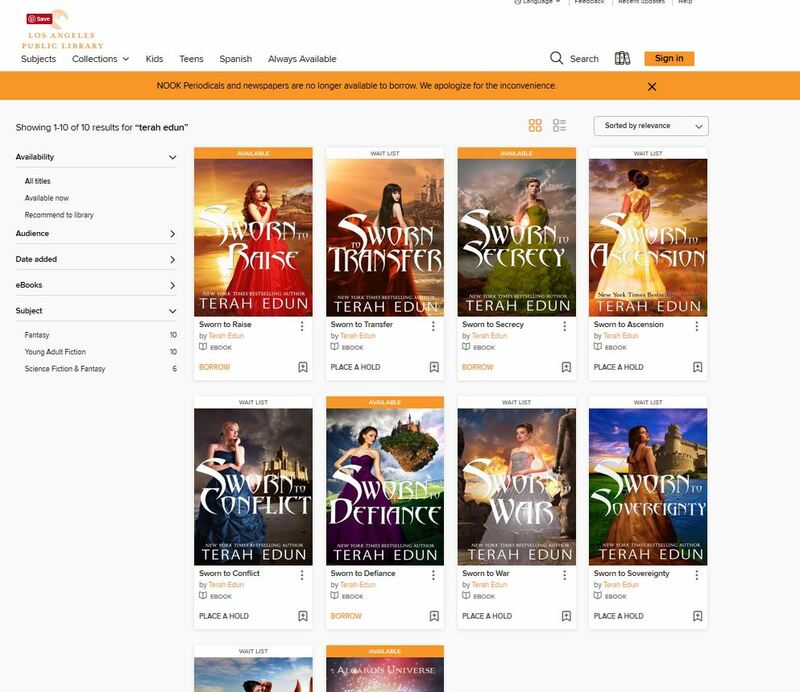 The entire Courtlight series has been included in the OverDrive catalog promotion for Back To School. 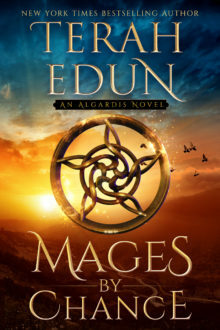 Librarians and teachers here’s your chance to beef up your catalog of Algardis Universe books. Head over to the OverDrive Markeplace today! It’s Back to School season and OverDrive, the retail site with over 20,000 libraries, has tons of content on sale to kick off your school year right! Shop from over 25,000 kids and teen titles up to 50% off through September 30th including titles organized by grade levels and interest levels, collections of picture books and graphic novels, classics and academic resources plus much more. There are 10+ Terah Edun catalog titles in this sale and you don’t want to miss it. 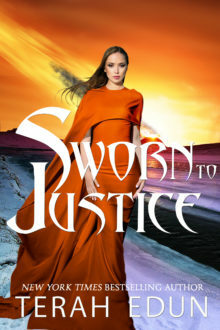 The catalog has criss-crossed the United States and foreign countries, finding purchases in libraries near and far – like the Los Angeles Public Library and those below.